If the world ended, you’d think you might have noticed. The common view of the last judgment is apocalyptic, with the earth left in ruins. 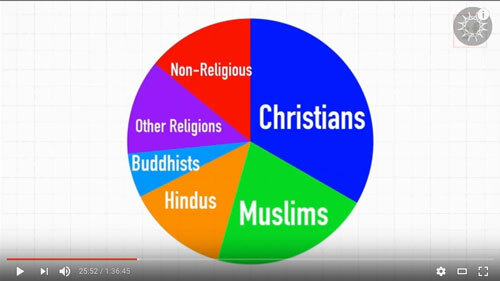 According to eighteenth-century Christian mystic and philosopher Emanuel Swedenborg, this isn’t quite right. 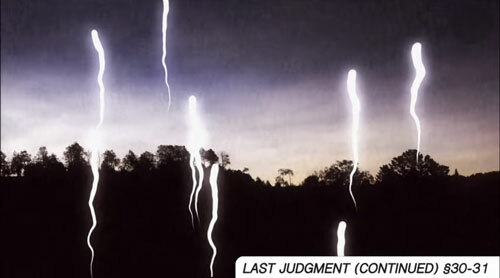 In fact, the Last Judgment may have taken place just a couple of centuries ago. In this episode, host Curtis Childs and featured guests delve into Swedenborg’s fascinating accounts of a spiritual Last Judgment. We won’t find prophecies of fire and brimstone here—instead, he stressed God’s infinite love and mercy. As with many things, Swedenborg defines judgment in a different way than most. In his view, a spiritual judgment comes when a church—a group of people who share values—faces its end times, meaning that the members of the group have lost their love. These last judgments are foundational shifts in the spiritual balance that cause a full restructuring of the system. Swedenborg writes that two Last Judgments have already occurred. 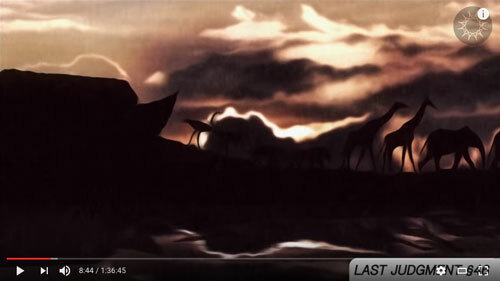 The first was the flood described in the story of Noah and his ark, and the second was the coming of Jesus. The Last Judgment that Swedenborg describes in his writings was the end of the Christian church. “Wait,” you might say. “I’m pretty sure the Christian church is still a thing.” Hang on. All will be revealed. In the meantime, we need to take a closer look at what exactly a “judgment” is all about. Dr. Jonathan Rose talks about those who were to be judged—and those who were exempt. It’s important to note that among the people who were exempt was everybody living on earth. This is a key point in Swedenborg’s theology of the Last Judgment—the judgment takes place in the spiritual world, and it only affects people who are currently in the afterlife. That’s why we on earth don’t see any of the outward signs traditionally associated with the end of the world. Even in the spiritual world there are many groups who are not included in the judgment: people who died before the coming of Jesus, for example, and people whose nature is completely good or evil. Once you count out all the exempt souls, the only group left to be judged is made up of people in the afterlife who are inwardly evil but outwardly good. The next section goes into when exactly the, er, last Last Judgment happened. But first, a word from one of our fans about looking inside yourself and sifting the rocks from the soil that nourishes spiritual growth. The Last Judgment is a sort of mass-restructuring of heaven. 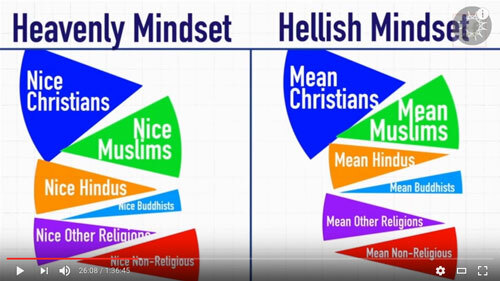 In fact, as Dr. Jonathan Rose shares, the trigger for a Last Judgment is that evil people become so numerous in the afterlife that they’re like “a spiritual smog” blocking out heaven. 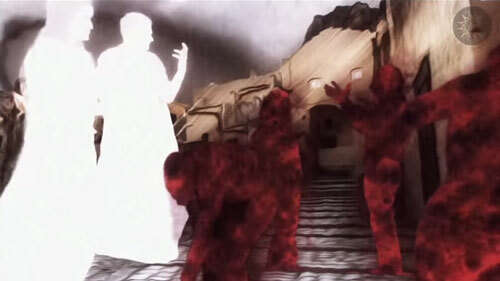 In the spiritual world, a Last Judgment does resemble the events described in the Bible, and in fact Swedenborg writes that everything described in the heavenly meaning of the book of Revelation has actually already happened. What happens during a judgment? Remember that the group being judged is a mix of good and bad (or heavenly and hellish). Judgment, then, means assessing people’s true character, separating the good inside that person from the evil, and then sending the person to the place that matches their true character—whether it’s heaven or hell. Got all that? Time to dive into the correspondence between what the Bible says about the Last Judgment and what Swedenborg saw. To start things off, here’s a segment that compares verses about the Last Judgment in Matthew to the inner spiritual meaning described by Swedenborg. 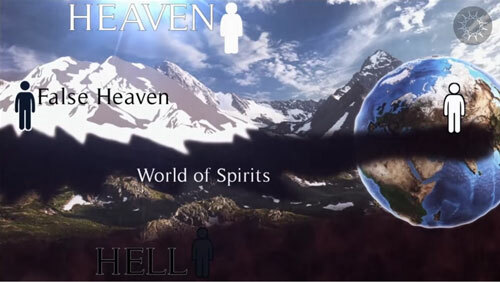 Next, Curtis tackles Revelation 21:1, which describes a new heaven and a new earth. This doesn’t mean that the old heaven went away, Swedenborg explains; what it means is that there were people with evil intentions who used the truths they learned to create a false heaven, and people with good intentions who put their faith in these false teachers. When the Last Judgment came, all these people had to be sorted into the real heaven and hell. 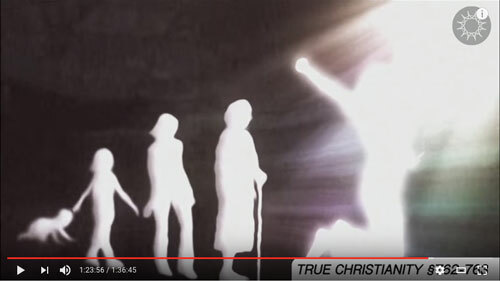 So if false teachers created a false heaven to mislead people, why didn’t God stop them? Dr. Jonathan Rose explains. That was the situation at the time of the Last Judgment—a false heaven full of people who couldn’t get to heaven because they put their faith in the wrong teachers but who didn’t deserve to be in hell. Then everything reached a tipping point . . .
Swedenborg discussed the Last Judgment with a focus on specific religions—especially denominations within Christianity. The Last Judgment he witnessed in 1757 dealt with the end of the Christian church as he saw it. Swedenborg listed other types of corruption that were practiced by religious leaders of his time: saying that they alone had the power to forgive sins or grant entry into heaven, or using their position to amass personal wealth and power. Despite these corruptions, there was still good being done. Coming from a Protestant tradition, Swedenborg had his share of critiques aimed specifically at these denominations, although these criticisms could apply to people of any faith tradition: that they attended church, read the Word, and listened to sermons, but they didn’t apply any of what they learned to their lives. In other words, they embraced a faith without love. Swedenborg describes what happened during this part of the judgment in detail, with the good being separated from the evil. Once again, Curtis emphasizes that the Last Judgment is not about punishment or rejecting people; it allows good people to join others like them in heaven. While this happened in the spiritual world, what happened on earth? Even though there might not have been a dramatic change, Swedenborg does tell us that what happens in the spiritual world affects what happens in the earthly realm. Dr. Dan Synnestvedt discusses how the Last Judgment in 1757 may have changed earthly religions, social justice, and technologies across history. It was around that time that there was an seismic shift in how people saw human rights: that children shouldn’t be forced into hard labor, that slavery as an institution was wrong, that women and minorities deserved equal rights, and that using military force to oppress other nations was wrong. If any of these things were the result of a Last Judgment, it had a more long-lasting impact than any of the cataclysmic events described in the Bible. It’s all an essential piece of humanity growing up as a species. Are there people who are inwardly good but appear outwardly evil? How does this perspective fit with the Great White Throne Judgment in the book of Revelation? If the main influence in Swedenborg’s day was Christianity, is it wrong to question that his experiences are shaped by his own beliefs instead of truth (whatever that is)? Would you agree that it’s happening right now and will continue to happen? I feel the world is moving further towards heaven.